If you’re in the market for a new mortgage CRM software, there are perhaps hundreds of options to choose from. To create a shortlist and eventually make a final decision, you’ll need a list of criteria to compare each CRM in an organized way. This article will help you identify which key features to look out for when shopping for mortgage CRM software. 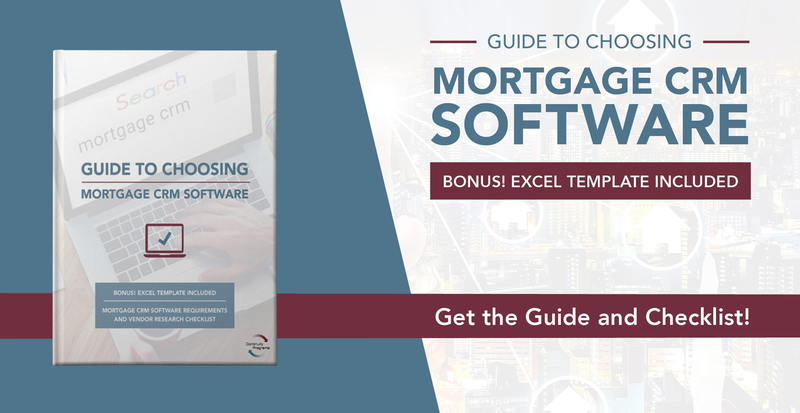 For a more extensive list of criteria and a helpful worksheet, download our free tool: The Guide to Choosing Mortgage CRM Software. With it, you’ll also get access to an easy-to-use spreadsheet that you can fill out while browsing your options: The Mortgage CRM Software Requirements and Vendor Research Checklist. We live in the age of the online review, so there’s no reason you shouldn’t do some online sleuthing when shopping for CRMs. Reviews of vendors, their product, and their support teams are an excellent opportunity to obtain honest feedback before making a purchase. Look for a mortgage CRM that was developed by a vendor who has close ties to the mortgage industry. Preferably, they’ll have many years of experience working with mortgage professionals. When browsing software, ask yourself: Does this CRM directly support our company’s business goals? Is this something my loan officers will use, and will it help them thrive? Your CRM is more than an accessory—it should work to support your core objectives. A high price tag isn’t necessarily a badge of quality. Some of the best CRMs for loan officers and mortgage lenders are quite affordable. Shop for a CRM based on your goals and needs, but consider price when making your decision as well, especially when considering how you intend to use your CRM down the road. Scalable CRMs will be just as useful and intuitive at the enterprise level as they are when you first sign on as a small-to-medium sized mortgage lender. As your business grows, adding more users and features shouldn’t affect your CRM’s performance. Implementation should be quick and easy, and your vendor should do most of the heavy lifting. A turnkey solution is one that can be installed quickly and picked up by your loan officers immediately. With intuitive controls and mobile accessibility, your CRM should show immediate results in streamlining your employee’s processes. Your mortgage CRM should comply with the industry’s security regulations by storing data in an SOC compliant database. It should also integrate seamlessly with your loan origination system (LOS). The main purpose of a mortgage CRM is to make it easier for your loan officers and other employees to manage their professional relationships, both with clients and others. For this reason alone, ease-of-use should be one of your primary criteria. Fast follow-up is one of the most common challenges in the mortgage industry, but it’s also one of the challenges a CRM is supposed to fix. When comparing CRMs, keep an eye out for digital and direct client follow-up programs that are easy to use. 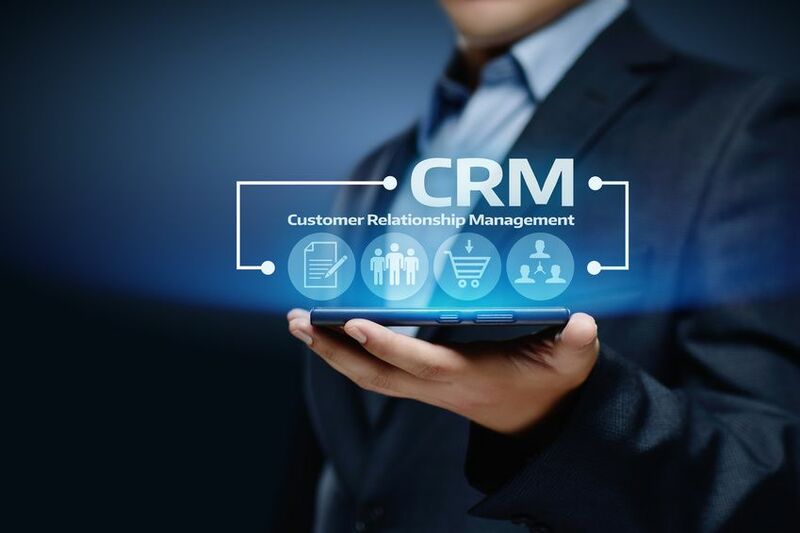 Your CRM should make your lead generation processes more productive and provide your company with new tools for generating leads and following up with prospects. Automated alerts are an ideal way for users to generate exclusive mortgage leads and see when their contacts have listed their homes for sale. A CRM with built-in marketing automation will help you generate leads with email campaigns, survey feedback programs, and direct marketing. Automation removes much of the busywork associated with marketing, making it easier and more effective. You’ll need to assess the ROI of your CRM, but also the many KPIs your loan officers depend on to measure their success. Look for a mortgage CRM that has high-level reporting features for executives and integrated reporting for users. Customer support should be a click or a phone call away. The best mortgage CRMs come with a dedicated account manager and a helpful support staff who can be reached over multiple channels, such as through online chat or an old-fashioned phone call. If you found this article helpful, take the next step and download The Guide to Choosing Mortgage CRM Software. You’ll do a deeper dive into these criteria and get a helpful worksheet to fill out while comparing CRM options: The Mortgage CRM Software Requirements and Vendor Research Checklist.